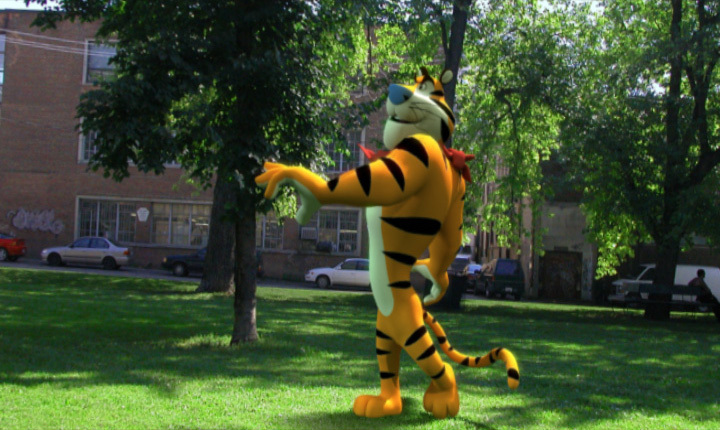 This was a small motion test of Tony the Tiger in 3D we produced over a short period of time for a pitch. 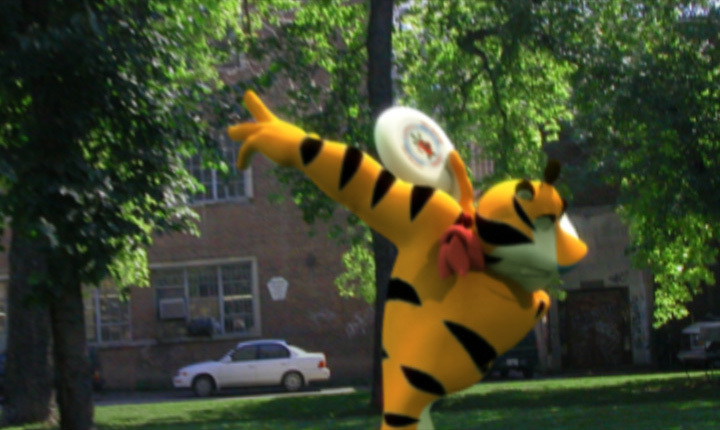 Kyle Dunlevy did a great job on the animation and I used every trick in the book to make the shot appear energetic and full of action – which was difficult since we didn’t have any live action footage, just a few still plates of a background park. The rendering for this project was a mixture of traditional lighting techniques combined with global illumination and image-based lighting features. The environment plates were used as a source to derive color from for the indirect lighting. The key lights were colored warm with crisp black shadows to simulate the sunny afternoon mood captured in the background plates. Modeling and animation were done with 3dsmax 6.0, rendering with VRay 1.45.70 and compositing with After Effects. Modeled and rigged by Joel Mongeon. Camera move, lighting, texturing, rendering and compositing by Richard Rosenman.